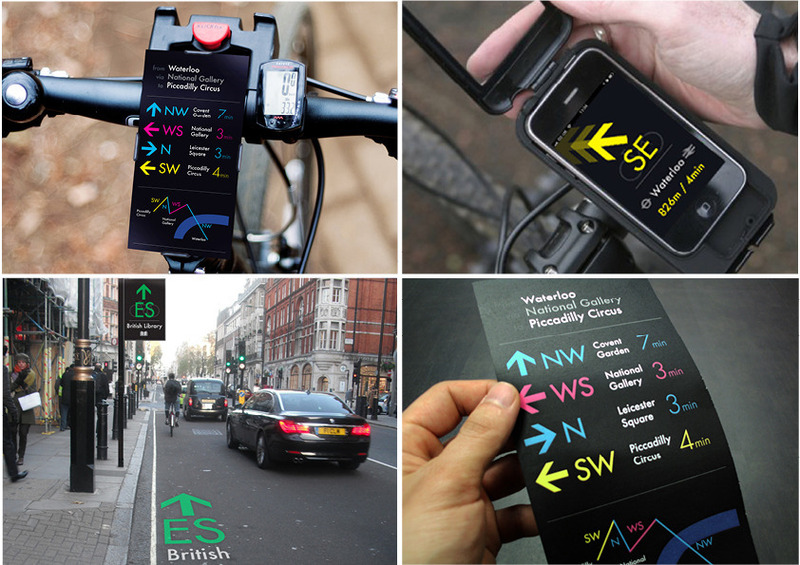 A London graphic designer has created a new take on cycling route signage that could change the way we find our way get lost in the capital. 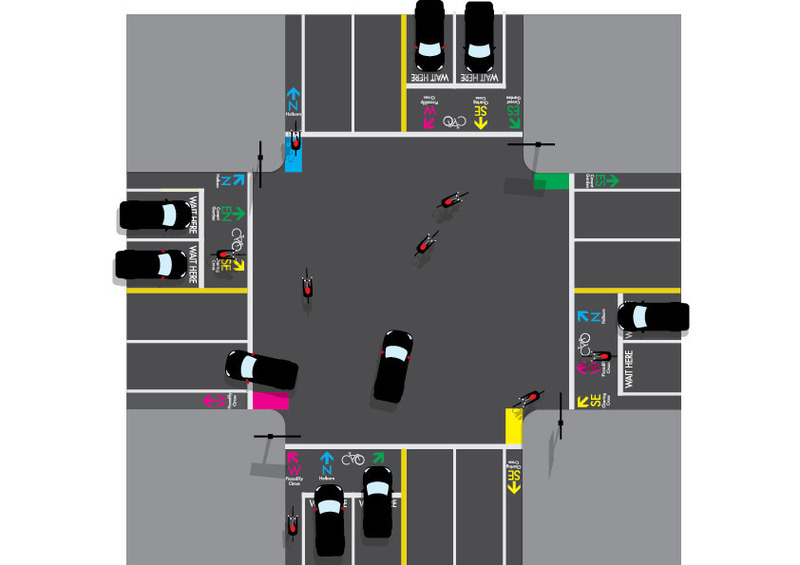 If you've ever tried to follow any of the London Cycle Network's routes you'll be familiar with the mental anguish of searching the road side for the 4cm x 8cm red number that may or may not give you a new direction at each junction, side road and on occasion random patch of shared-use pavement. 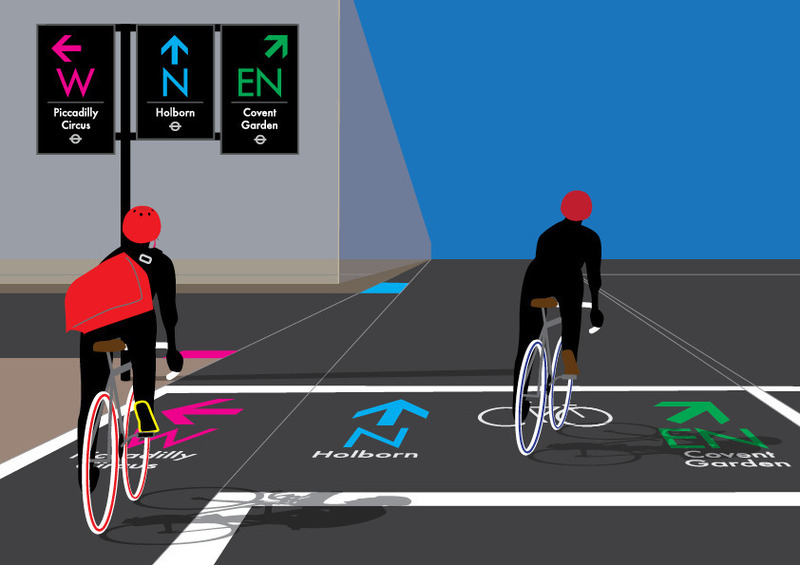 The modern alternative, great cycling apps like Bikehub, have a lot going for them — but with their computer-like efficiency they produce routes so complex that the human mind (ours at any rate) can't possibly remember each of the 31 maneuvers on a typical journey. So we find ourselves, for the most part, heading for the main roads that we know, using the A road signage for broad directions and filling in the gaps with a bit of instinct — SE1 to Crystal Palace? Well that's Elephant, Walworth Road, head for Camberwell, and, err, south and up-hill a bit. Jun Kwon, a Graphic Design Student at Ravebsborne College, decided to tackle this problem for his submission to the International Society of Typographic Designers 2011 awards. 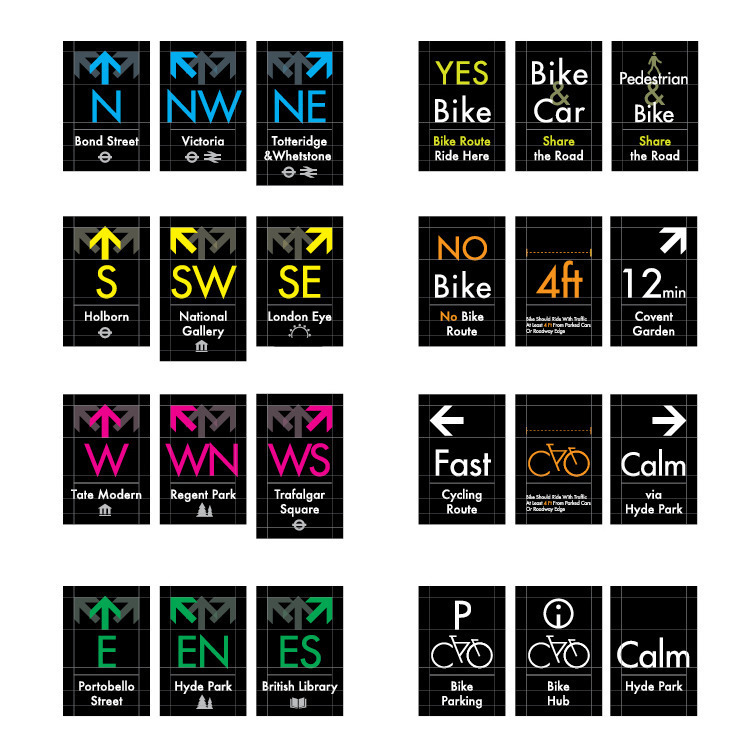 His creation, Cycling Cities, is an attempt at a clean-slate approach for cycling signage — and we love it. 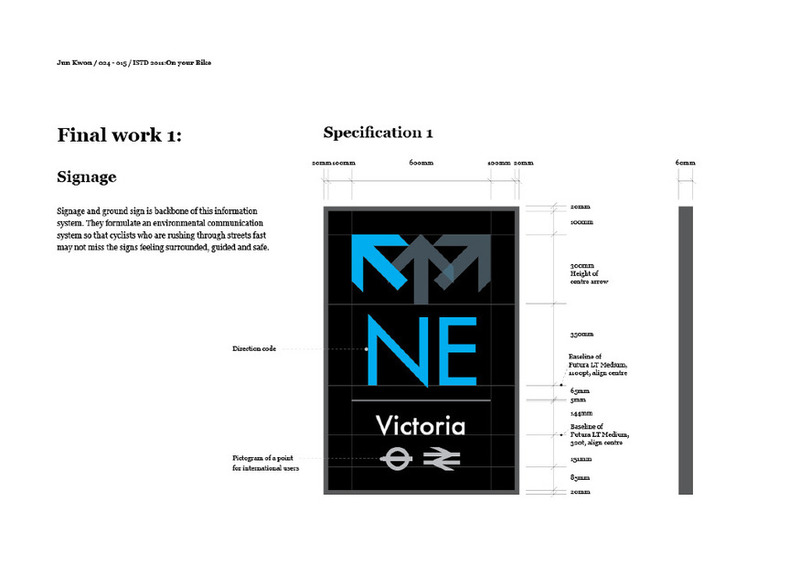 Catering to our simple minds, Jun proposes to use a combination of landmarks, tube stations and compass direction to keep people on track. 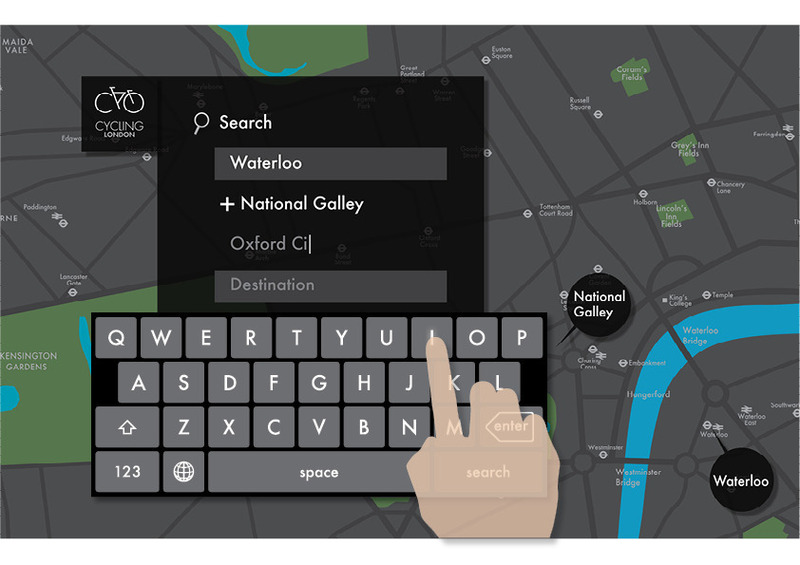 Jun, who's from Korea, said "I am... still not very good at wayfinding in London. 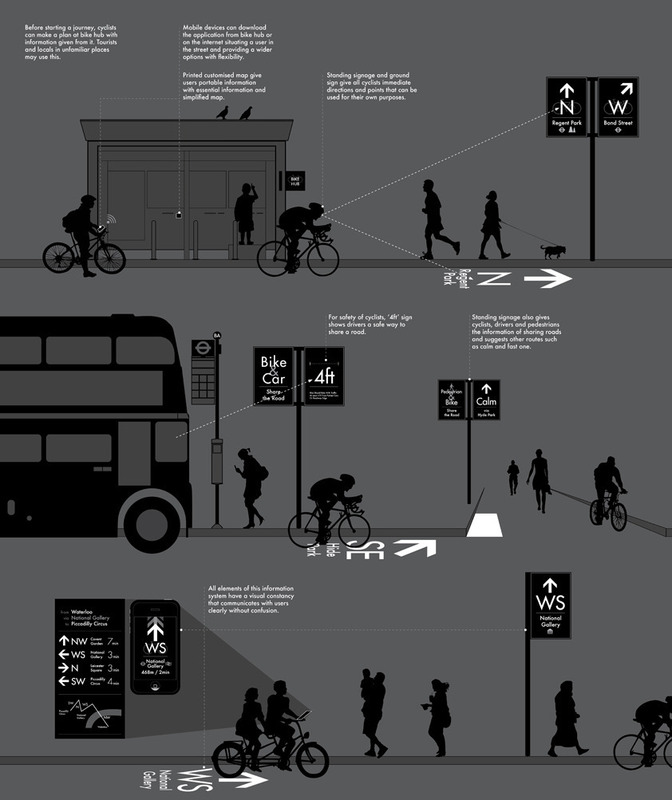 Even worse thing was, rather many times, I fall myself into some very dangerous moments as I was cycling, so as a graphic designer I really wanted to solve this problem in a new way that can be interpreted by international people." 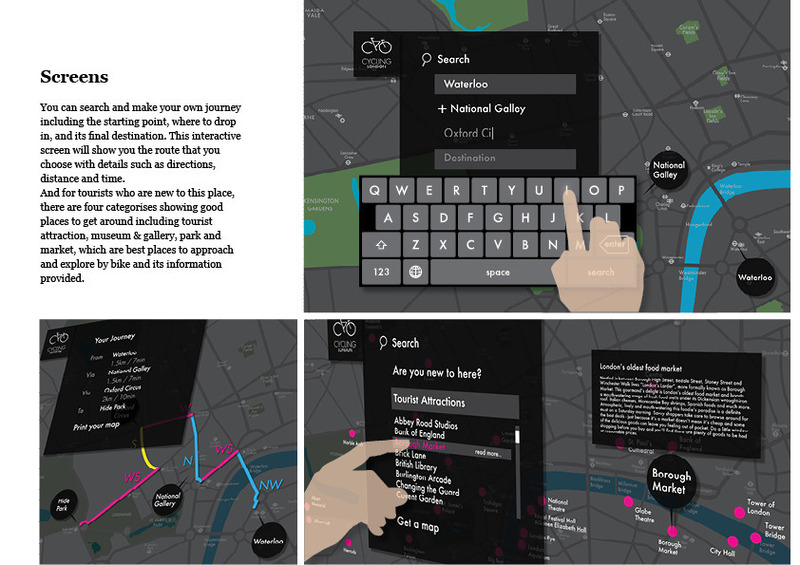 His research found that people build a mental map as they cycle, and his solution builds on this natural 'waypoint' technique of navigation. He combined this with the 12 direction codes from the compass to create a flexible standard. 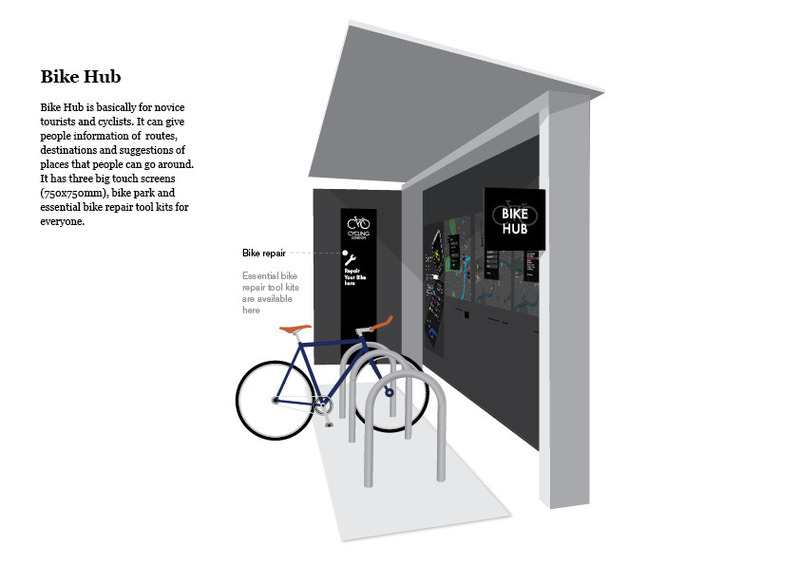 Jun, who proposed the idea to TfL last year, told us that he "doesn't think this is a complete and perfect solution, but I would love to develop it to make it more useful and supportive of cyclists in cities". London's Harry Beck led the world on making sense of railways — no doubt because we had a rather complicated one to start with. This couldn't be more true of our roads. 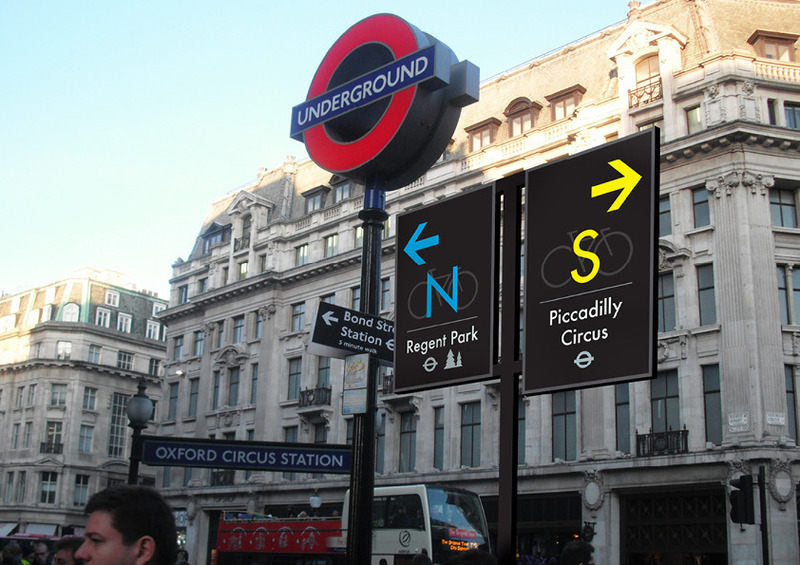 Innovative ideas like this could help our somewhat subterranean-minded population negotiate street-level by bike, just as Legible London is doing for walking.